The fun picturesque town of Morganton is located in Burke County, about 63 miles east of downtown Asheville. Its location along I-40 makes it very convenient to stop for the visit in the foothills. Little known fact: This area is the oldest known European inland settlement in the United States, with Spanish explorers settling in the village of Joara in 1567! We love to explore the charming downtown, centered around the stately historic courthouse. For a small town, you'll be impressed with the number of artists, performing arts, shopping and events. The City of Morganton Municipal Auditorium (CoMMA) hosts plays, Broadway musicals, graduations, and other cultural and public events. 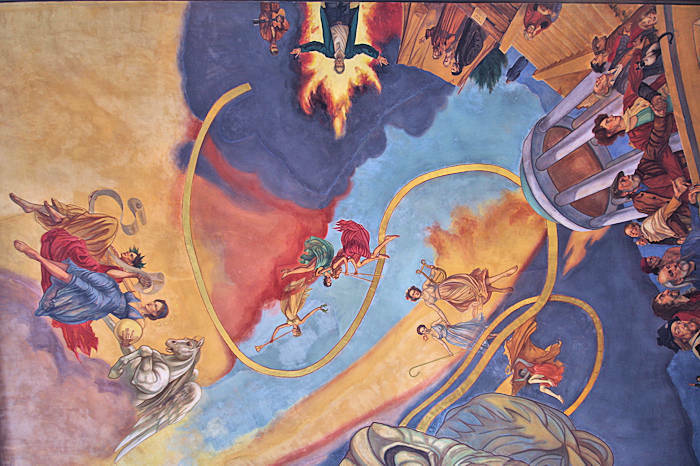 Stop by to see their fresco anytime! Don't miss the interesting down-home History Museum that transports you through the rich history of this area. 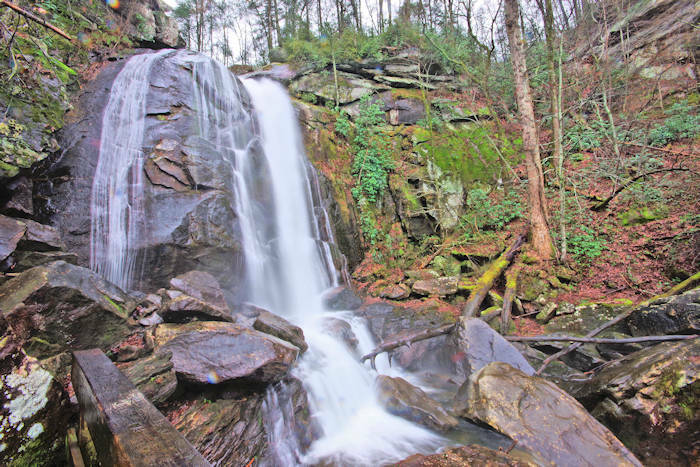 Morganton and Burke County are a nature's playground with hiking, biking, camping, fishing, lakes and waterfalls. 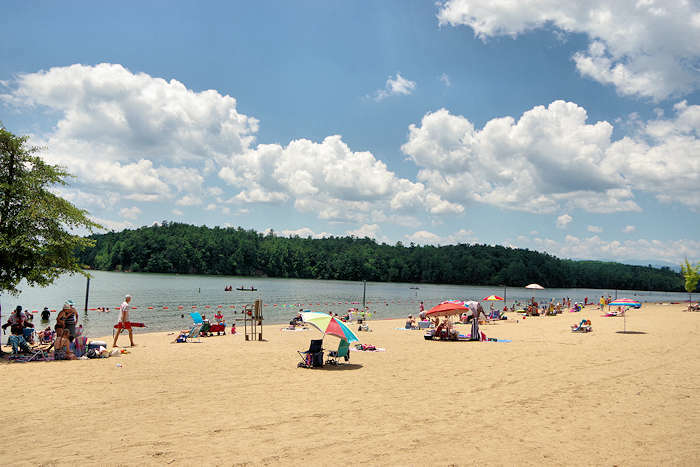 Explore two of the best state parks in North Carolina: South Mountains and Lake James. 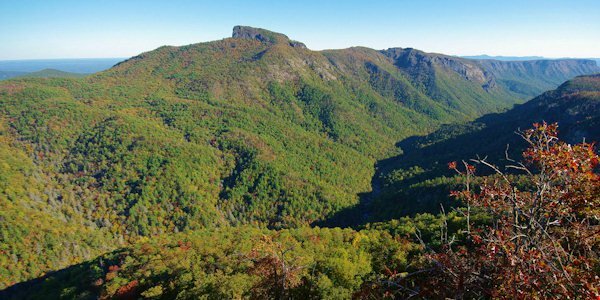 Plus, Pisgah National Forest across the north side of the county includes Linville Gorge and the Blue Ridge Parkway. From the Parkway, take scenic NC 181 South ("The Snake") for 27 miles to Morganton, passing along the way the entrances to Table Rock (pic above), Hawksbill, Upper Creek Falls, Brown Mountain Lights and more! See listings below for much more info about each. Your first stop should be the Burke County Visitor Center (110 E. Meeting Street) to get plenty of info on area attractions, events and dining. 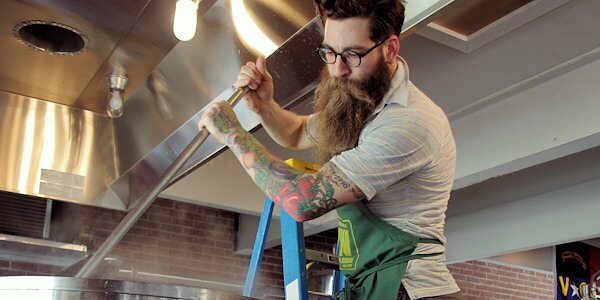 Fonta Flora Brewery (317 N. Green Street) owner Todd Boera receives national attention for his emphasis on seasonal flora. Sample his brews of English tradition and Belgian inspiration using an amazing variety of local ingredients. Catawba Brewing (212 S. Green Street) is a fast growing craft brewery and started here in downtown Morganton. They are open everyday with 10 beers and taps and plenty of events. Sidetracked Brewery (609 S. Green St) is located by the historic depot. Find 12-14 railroad-themed small batch beers on tap, all brewed in-house. Play ping-pong or relax on the covered patio. Open Tuesday-Saturday. 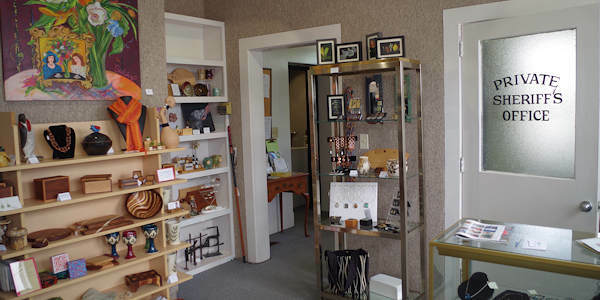 The "Sales Cell" in the Jailhouse Gallery (115 E. Meeting) in the former jail promotes and sells the art and crafts of local artists with a impressive selection of unique handcrafted items. It's across the street from the Visitor's Center and two blocks from the History Museum. Hamilton Williams Gallery (403 East Union) features impressive pottery, ironwork and jewelry from area artists. 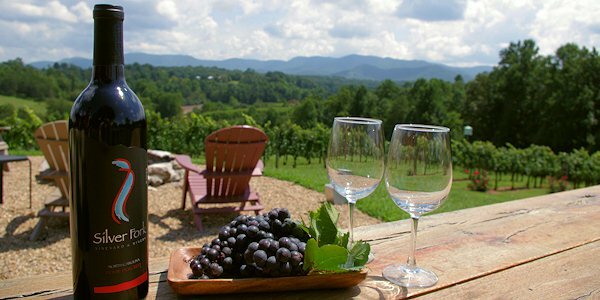 On the Catawba Valley Wine Trail, visit three wineries conveniently located near I-40. Read more. Go to the Morganton & Burke County Web site for a full list of attractions and great places to stay. Joara: The site of the first European inland settlement in the United States opens to the public during the annual Field Day in June. Summer 2017 marked the 450th anniversary of Spanish explorers establishing Fort San Juan alongside Joara, a Native American village. The Spanish settlement, which predates Jamestown by 40 years, co-existed with the village of Joara for 18 months before being destroyed by the natives. See the ongoing archaeological site excavation, see demos including blacksmithing, primitive skills and Catawba Indian crafters. 1700 Henderson Mill Road, Morganton. Go to their website. Ghost Tours: On the last two Friday and Saturday nights in October, take a Ghost Tour downtown, departing every 30 minutes 7-8:30 PM. Learn about Morganton’s spooky history, researched by paranormal investigator Joshua P. Warren. The 1.5 hour-long, scenic tour tells of local history, strange sightings and folklore during a mile and a half walking tour. Some stories date back 500 years! Perfect to get you in the Halloween spirit! Founded on the traditions of 19th century Waldensian settlers from Italy. Stop by the Visitor Center in the historic Rock School for things to do including Waldensian Heritage Winery, Waldensian Museum, Trail of Faith, Old Rock School Art Galleries and model train museum. This state park has a wide beach with a nice pavilion with changing rooms, open for swimming May-September. Also enjoy hiking, mountain biking, fishing and more. Take a tour of this ghost town near Morganton that is coming back to life with tours, events, paranormal experiences and more. Film location for The Hunger Games, District 12. 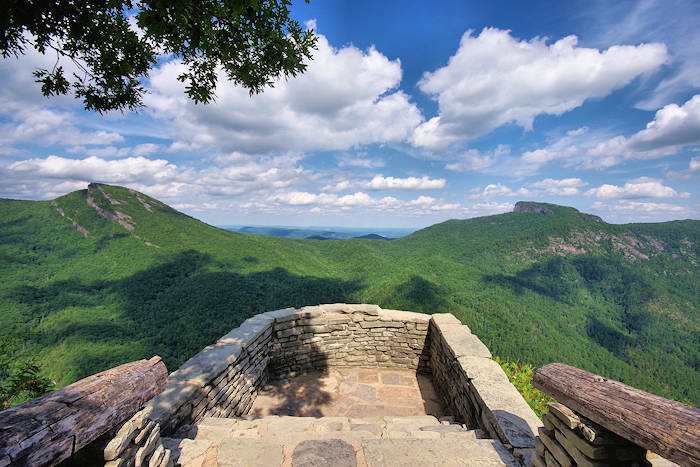 Order a free guide to Morganton and Burke County, located east of Asheville and home to Linville Falls, Lake James & South Mountain State Parks, small towns, scenic drives and hikes to Table Rock and the Linville Gorge. 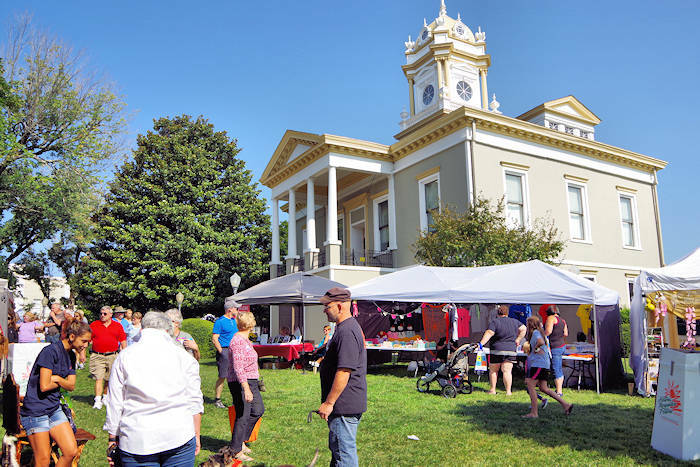 A big street festival in downtown Morganton that includes fine arts and crafts, festival cuisine, a beer garden, teen and kid zones, four stages of entertainment, a sunrise run on Saturday and much more. Free admission!